Hyderabad: Remember Jogi Brothers? The popular TV show in which films were reviewed with an Uttarandhra accent? That show was Jogi Naidu’s first taste of fame. Jogi Naidu went on to marry popular TV anchor and actress Jhansi, and that added to his popularity. “We fell in love and got married fifteen years back. 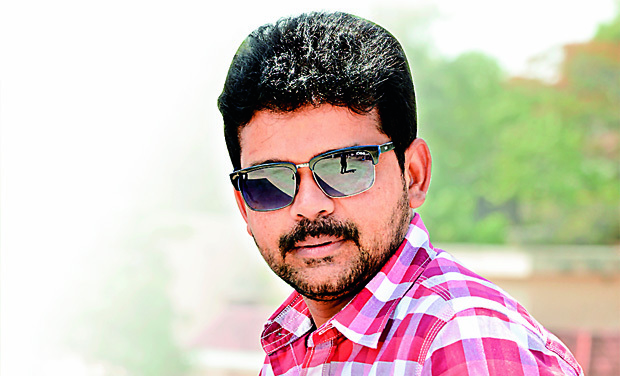 In the beginning we were a very compatible couple, but later on differences crept in and now we are separated,” says Jogi Naidu who has officially reverted to his bachelor status just last month. The couple’s 10-year-old daughter lives with her mother Jhansi. Naidu started a recording studio at that time, “Nearly 300 films’ post-production work was done in my studio,” he says. “When differences cropped up between me and Jhansi, I was disturbed for a few years. During that period I couldn’t concentrate on the studio and I ended up in a financial mess. I lost everything,” recalls Naidu. His parents and his friends stood by him and encouraged him. He started again and last year in Swamy Ra Ra the Jogi Brothers clicked again. “Now, I have 10 to 15 movies in hand and I am quite busy,” says Naidu, who has completed nearly 100 films in his career. “I am still interested in direction and I have a few scripts in hand. I plan to direct a film by next year,” he says. Jogi is a big fan of Chiranjeevi and had always wanted to meet him. But the actor himself called up for a long chat! “After watching our TV programme Chiranjeevi garu me and Krishnam Raju, and we spoke for an hour. That is a truly pleasant and unforgettable incident in my life,” he says.